What Makes an Online Learning Platform Exceptional? Finding a learning management system (LMS) is easy. But, finding an online learning platform that is exceptional in quality takes effort. Is it easy to use? Is it affordable? An online learning platform that meets these requirements can be tough to find. In today’s $2.6 billion LMS market, every type of eLearning system you can imagine is available to consumers. This is both a good and a bad thing. It’s wonderful to have a huge selection of online learning platforms. But it also can be overwhelming. Customers with no prior knowledge of online learning platforms can run into problems. They may invest in products that over-promise and under-deliver. What makes an LMS or online learning platform exceptional? Customers need to understand this. Before they wade through the sea of LMSs. What Makes an Online Learning Platform Exceptional? Things You Should Look for in a Social Learning Management System (LMS). Are you a company leader on the hunt for an eLearning system? One that can meet your organization’s needs without ruining its budget? If so, having an LMS “shopping list” can help. You can refer to this during your search for the perfect online learning platform. This list will help prevent you from sinking L&D dollars into an eLearning system that is sub-par. Ease of use – Fitness coaches know that meal prepping is vital to the success of a client wanting to get in shape. Why is it so important? Because, people want things to be as convenient as possible. The desire for convenience is also present when using a learning management system. Company leaders are better off not investing in an LMS that is hard to use. Because, it is likely that employees or administrators will not take full advantage of it. This can result in employees ignoring training materials presented through the platform. This can stunt their professional growth. Josh Bersin wrote, “46% of L&D professionals don't even log into their corporate learning system more than once per year. And, only 20% of employees use the LMS for any non-compliance learning at all.” This reason for these sad statistics is simple: LMSs aren’t easy to operate. A single sign-on login process can help. Also, 24/7 access to an eLearning platform can make it more user-friendly. Particularly if access is available via any mobile device connected to the Web. Features such as these encourage learners to use to online learning platforms. It also encourages learners to engage in the training offered by the platform. Breadth of features – Only a full-featured online learning platform can meet a company’s diverse training needs. A full featured LMS brings many benefits to the table. 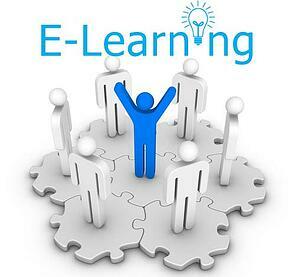 An eLearning system can ease mobile learning, social learning, and collaborative learning. It can also enable, and improve, the training of employees. Other features vital to an organization are: language localization, learning tools, and interoperability. Also, LMS content creation, LMS help and support, learning management reporting, and eCommerce. Plus, Integrations (API, FTP, SSO), administration tools, salesforce integration, and SCORM certification. Affordability – When choosing an LMS, keep in mind that you often get what you pay for. At the same time, beware of paying too much. Here's some good advice, so that you don’t overpay for a learning management system. The key is to invest in one that doesn’t charge per-user fees. An LMS that charges per-user fees allows customers to have a certain number of users for one flat rate. But, once that number of users is exceeded, there is a fee assessed for each extra user. As you might imagine, this can do some major budgetary damage. An LMS that charges no per-user fees is preferable. Because this often proves far more affordable than other eLearning systems. These online platforms can end up saving companies money in the long run. How? By facilitating eLearning-based training. In her NC State Industry Expansion Solutions article, Katherine Bennett said that eLearning saves companies money by 1) simplifying the onboarding process, 2) minimizing lost production time, and 3) reducing safety costs. She wrote, “Once created, eLearning materials can be available online 24/7. This gives your employees access to training anytime. Employees can find answers to policy questions, safety guidelines and to requirements. Standard operating procedures can be made easier to understand. And even equipment troubleshooting guides, when they need them.” Remember, eLearning systems save organizations money. Not only because they are capable of simplifying the onboarding process. But also when they are free of per-user fees. Are you looking for an online LMS that is easy to use? One that's full-featured, and affordable? If so, you need look no further than TOPYX. TOPYX is an award-winning LMS. It's loaded with all the features mentioned above. Additionally, it offers unmatched customer support. Last, TOPYX LMS does not and will not ever charge per-user fees. TOPYX customers pay one low, flat rate for the system, and don’t have to worry about budget-wrecking fees. Get a FREE trial of TOPYX today. Many factors play into the quality of a social learning management system. Be sure that whatever LMS you choose is affordable, easy to use, and full-featured. Have you found an eLearning system that meets these standards yet?